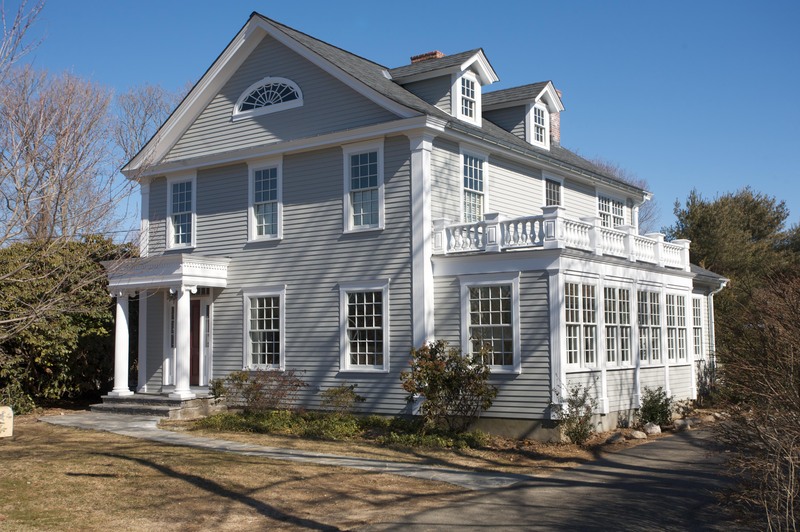 This Greek revival was brought back to life with a complete exterior renovation. 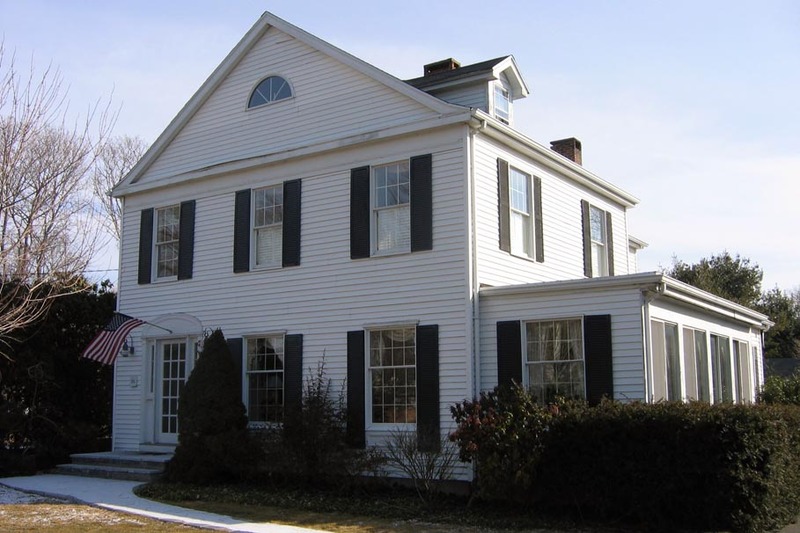 New windows and siding were installed along with new moldings to add detail to the façade. 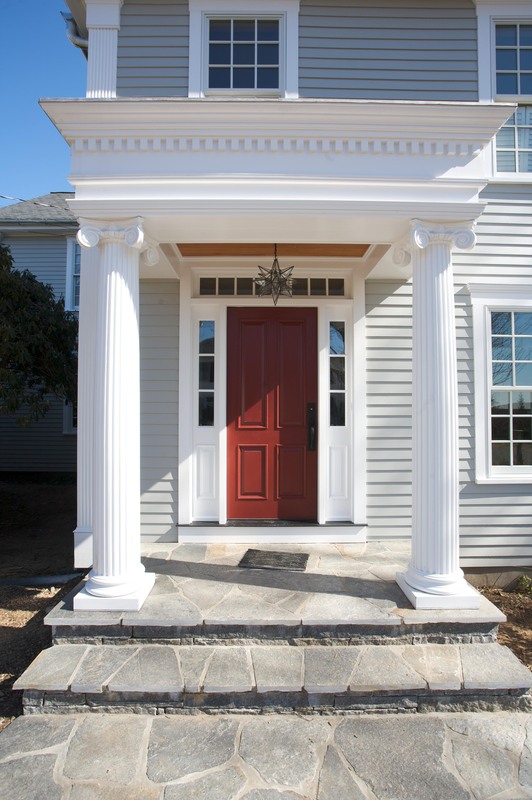 A new front portico was added with Corinthian style columns and dentil molding. 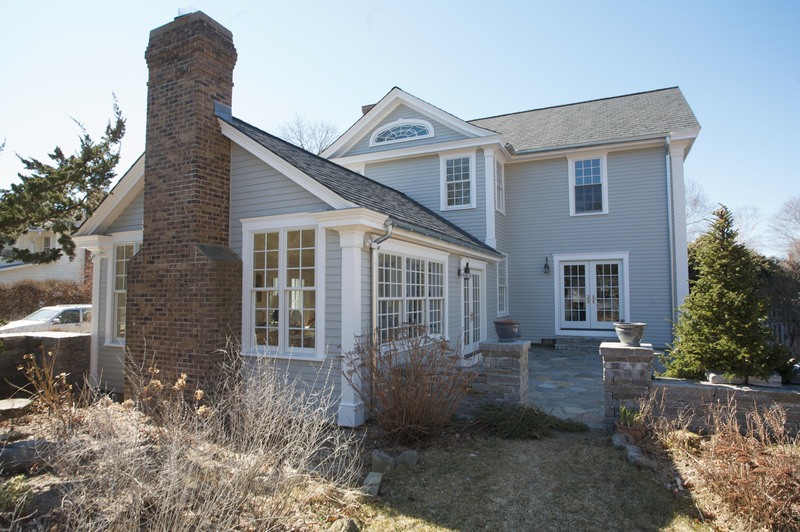 The family room, sun room, foyer, and master bathroom were also renovated at the same time. 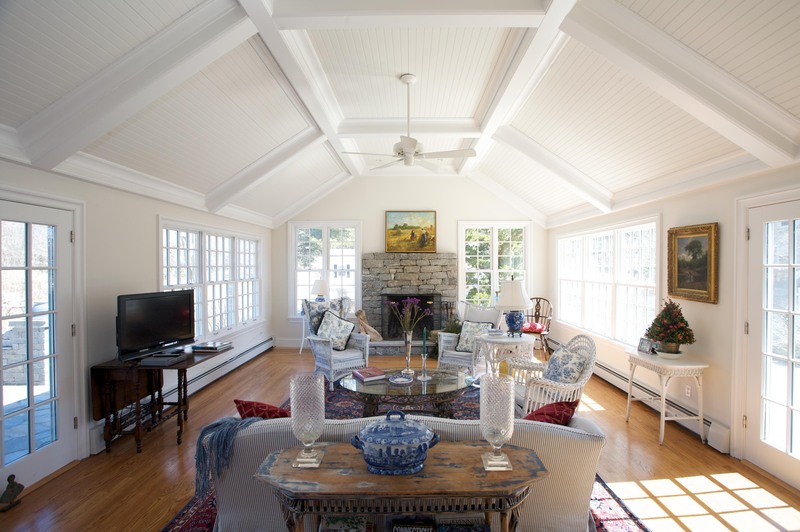 A new coffered ceiling was added in the family room as well as a new stone fireplace. 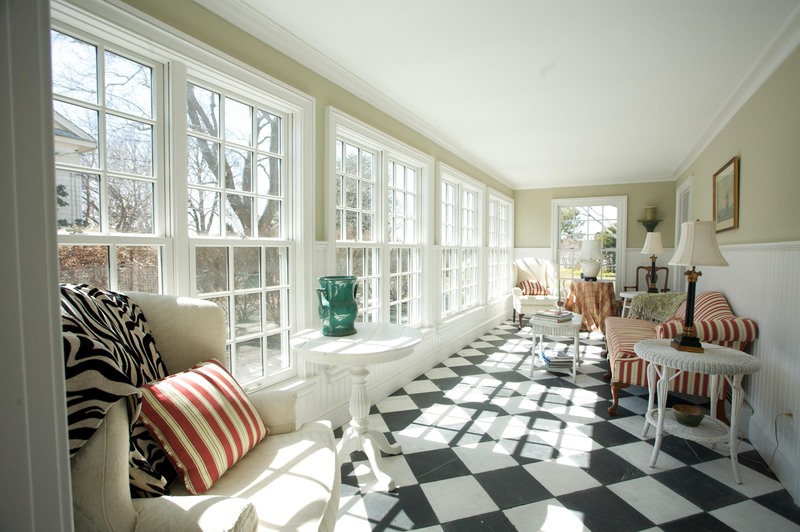 The sunroom and foyer floors are a checkerboard pattern made up of black and white marble tiles. 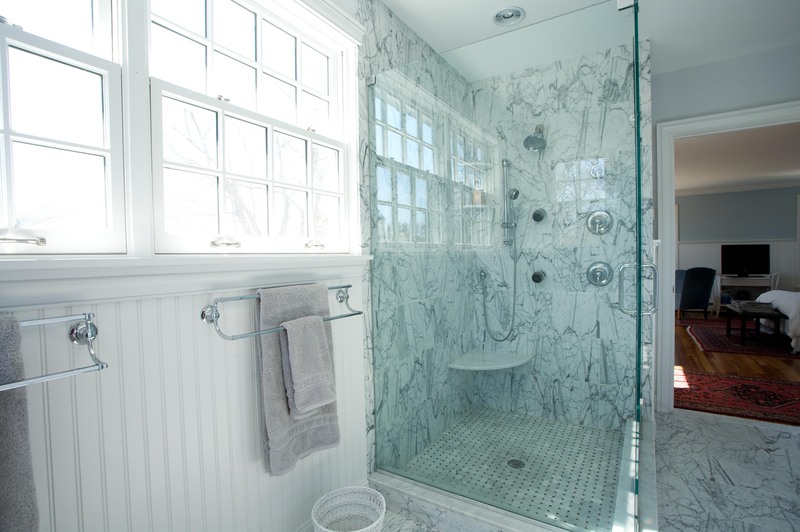 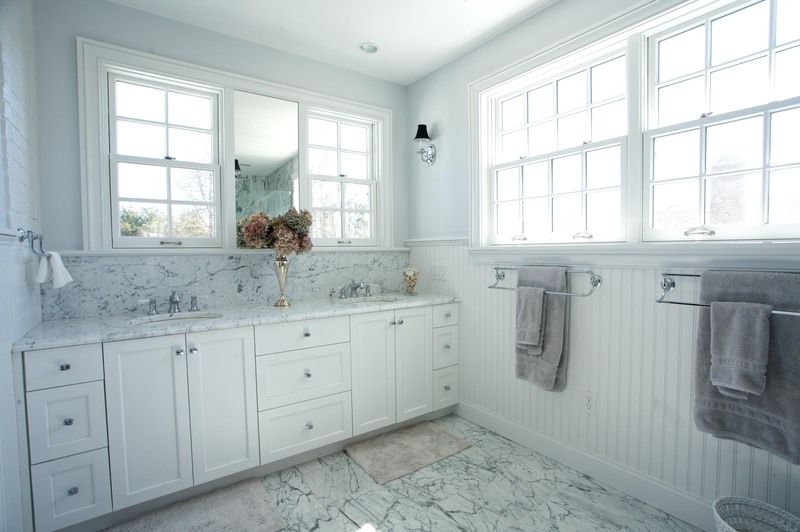 The master bathroom is tiled in Carrera marble. 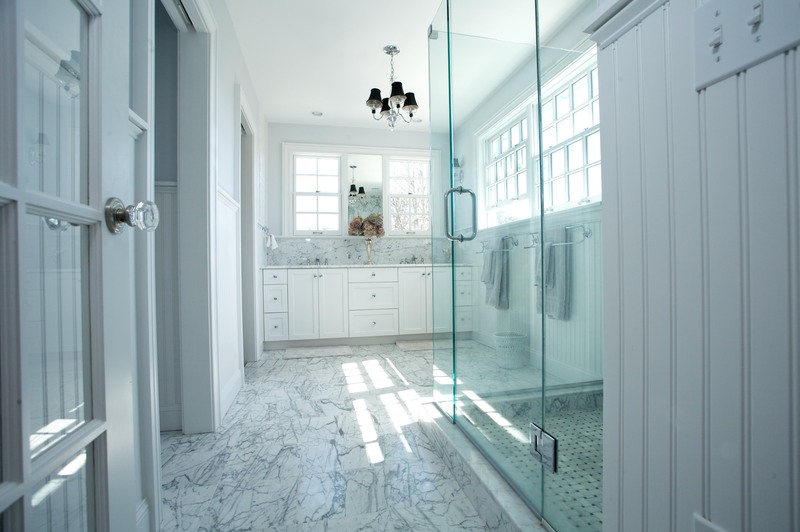 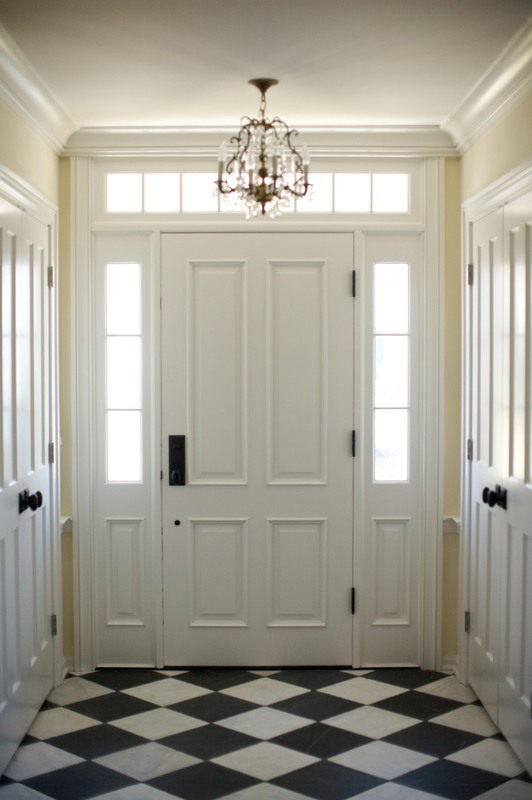 Designed By: Simmons Quality Home Improvement, Inc.